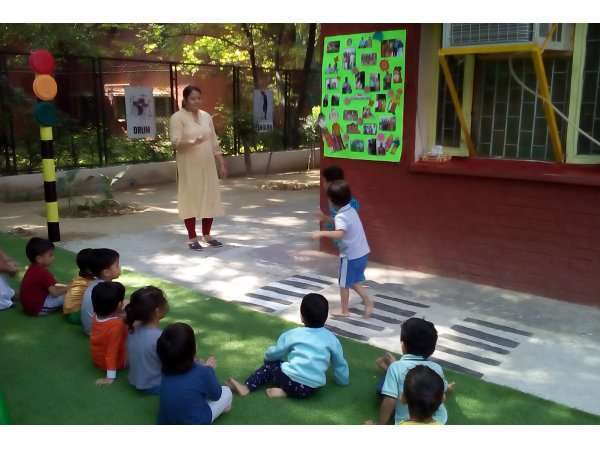 It has been more than 2 months that the IIT Delhi daycare and preschool has started to function. Beginning a daycare centre in the month of August is not advisable. The admission season for all schools begins in the month of April. By August most parents have made a choice and financial commitment for the year with a playschool in the neighborhood. Moreover, day care centres usually do not reach capacity in the first of the year operation. Yet within two months the daycare in the IIT Delhi campus has almost reached capacity. This clearly means that the demand for a safe and reliable daycare centre within the campus was a tremendous need for the community. The demand for a safe and reliable daycare centre within the campus was a tremendous need for the community. 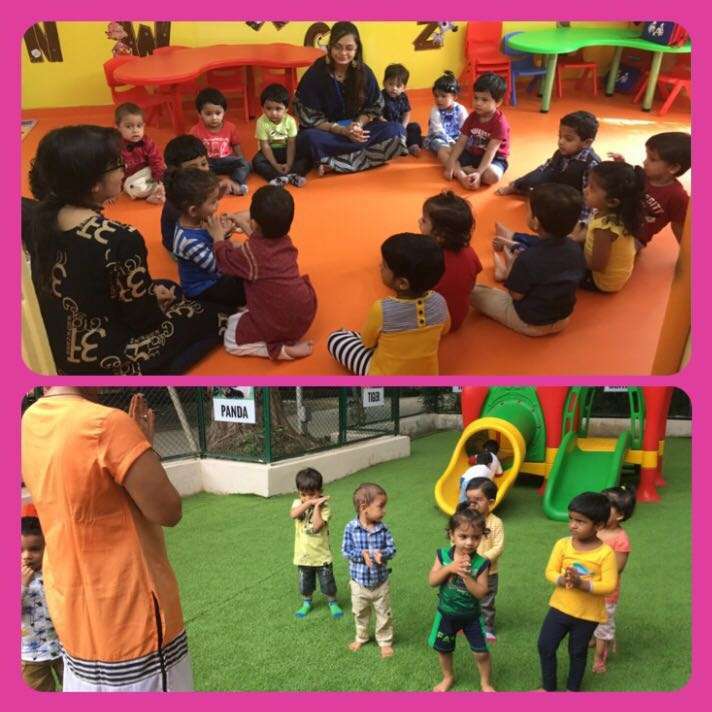 The journey to attain a reliable creche which can also engage children in early learning within the IIT Delhi campus has been a long one. In 2014 that the IIT Delhi administration set up a committee to suggest mechanisms for the improvement of daycare facilities on campus. This committee conducted a survey among the community to assess the daycare needs on campus. Almost 100 members of the community participated in the survey. The committee recommended that the institute should consider the possibility of setting up a reliable daycare with reasonable user charges. But being located at prime land in South Delhi space is a perpetual constraint on the IIT Delhi campus. The crisis has multiplied due to multiple rounds of expansion in the last ten years. In a campus where finding space for new laboratories, classrooms, offices, and housing is a challenge – the allotment of space for a daycare was not easy. But the expansion also meant there were more women on campus – faculty, staff and research scholars. Being a technology institute researchers need to spend long and often odd hours in laboratories. Like everywhere else the institute now has more working mothers on campus. Even for male faculty childcare is a very important need. In fact, there were many instances where faculty spouses would take a break from their careers in order to attend to childcare. Thus, being able to provide a safe daycare in campus would clearly make IIT Delhi a family-friendly workplace and an attractive destination for potential faculty recruits and research scholars. This would ensure that the parents did not have to negotiate the traffic congestions of south Delhi. In a renewed attempt to set up the Daycare interested parents among the faculty formed a Daycare Management Committee (DCMC) in October 2016. The task before the DCMC was to work with the institute administration to identify space, identify a professional agency to operate the daycare and eventually oversee the functioning of the daycare. At the outset, it was decided that the operation of the daycare would be outsourced to an experienced professional agency. To seek guidance on the establishment of the daycare the DCMC was also in touch with Prof. Mayurika Lahiri who oversaw the establishment of the daycare facility at IISER, Pune. Even for male faculty childcare is a very important need. In fact, there were many instances where faculty spouses would take a break from their careers in order to attend to childcare. In order to estimate the demand for daycare and playschool on campus, the DCMC requested interested parents to pre-register their children. Within hours of being announced, the pre-registration received an overwhelming response. The DCMC consulted a few leading daycare providers who operated in the neighbourhood. We also arrived at a sum that the minimum capacity for a viable daycare would be about 30-35 children and they would require 50 sq ft space per child. So The DCMC then requested the administration to allocate premises with about 2000 sq ft space. The institute’s administration identified a standalone ground floor faculty apartment for the daycare. The premises had a large open area for the children to play in. I must record it was an enormous moment for us to realise that the dream of a daycare on campus was close to becoming a reality. On the basis of recommendations from daycare users among employees, the DCMC invited proposals from leading daycare providers. We received several competitive proposals. The DCMC team visited facilities operated by each of the agencies and evaluated them under different parameters. It then sought the help of senior members of the campus community to identify the agency for the campus facility. In the end, the DCMC chose to enter into a three-year contract with Footprints Education which is one of the fast expanding daycare and playschool chains in the country today. Footprints Education is managed by a team which includes IIT Delhi alumnus. Since the institute was providing rent-free space and had promised to put in place the basic infrastructure, the fees for the playschool and daycare were heavily discounted. However, the contract was not all. The task before the DCMC was to convert a faculty apartment meant for one family into a safe building that could house about 40 children and about 6-8 staff. The lawns of the premises had to be fenced off. Additional toilets had to be created. And we also needed a lot of storage space within the building. And all of this had to be completed within a limited timeframe. The DCMC worked with the IIT Delhi infrastructure team to meet the challenge. The institute also put in place play equipment and other appliances and furniture. It was then that the team from Footprints took over and transformed the building into a space that would be colourful and attractive and fun for the kids. As per the policy of Footprints live CCTV feed of the children at the facility can be accessed by the parents through a smartphone app. The children were also to be provided meals freshly prepared at the centre. For the moment the daycare would only be open for wards of IIT Delhi employees and students. The facility began operations on 1 August 2017. It was formally inaugurated by the IIT Delhi Director Prof. Ramgopal Rao in the presence of other top institute officials as well as the Footprints management. At the inauguration the excitement of finally having an operational daycare and playschool on campus was palpable. I must record it was an enormous moment for us to realise that the dream of a daycare on campus was close to becoming a reality. The first few weeks of operation were difficult. Apart from the usual teething problems that any new facility may have to face, the challenges were steep due to the large number of children who were registered in the first few weeks of operation. By the end of August, almost twenty-five children were using the playschool and daycare. For most of the children at the playschool, this was their very first experience of separation from the parents. But with the help of the parents, the teachers and the DCMC the children began to settle down quickly. As registrations continue to rise, the DCMC is trying to put in place norms of operation and management. It plans to hold regular meetings with parents. At the time of writing it is conducting an internal audit of the facility to ensure all norms of safety, hygiene and curriculum are being met. Such audit would be carried out regularly. The challenge is to have clear response plans for emergencies. 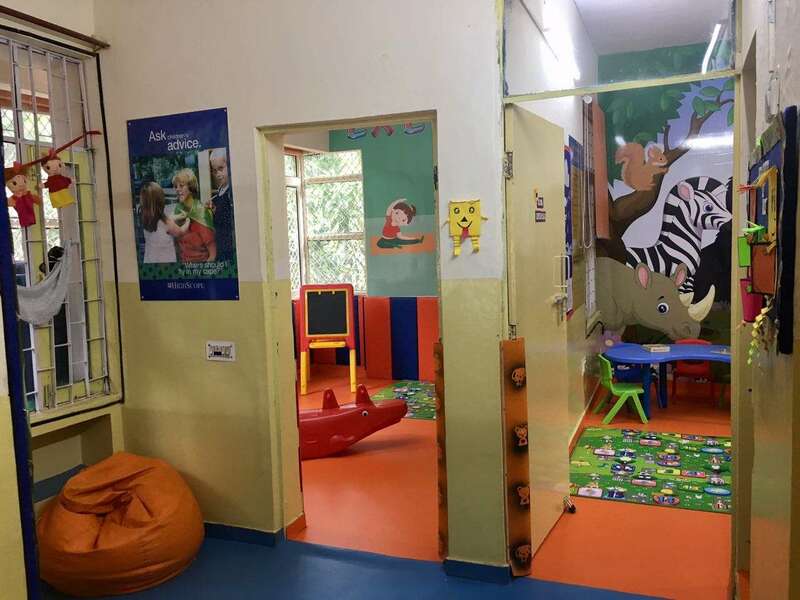 Perhaps one the big advantages of having a daycare facility on site is that the community – in this case through the DCMC – can intervene and monitor the facilities and operations. At the IIT Delhi centre, we are lucky to have an experienced Centre Head and an enthusiastic team of teachers and caregivers.